Resolving conflicts with others may be life's greatest social emotional skill. Avoiding conflict, seeking conflict, mishandling conflict is tough for many an adult (raises hand). It's especially hard for kids who are also mastering a long list of other social emotional skills like self-regulation, managing strong feelings, and problem solving. Because of this, I've avoided peer mediation. Also, because I'm lazy because here's the thing - peer mediation is hard. It's not easier than handling it yourself. But it is valuable. 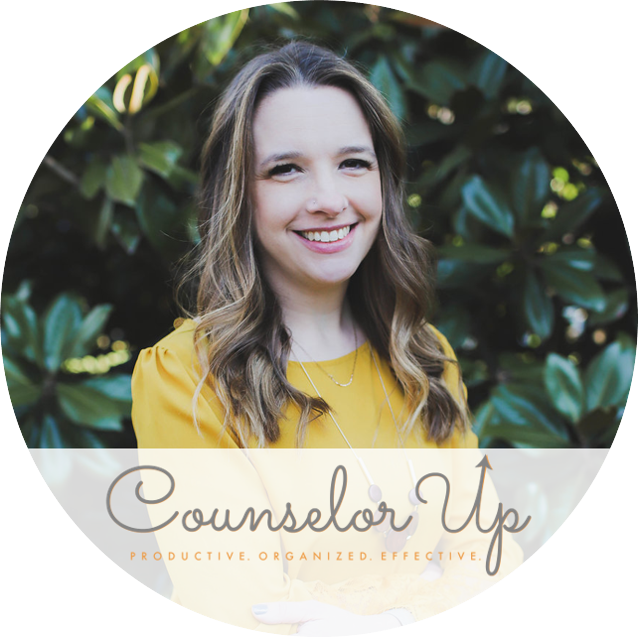 It empowers your mediators as leaders but it also empowers the students resolving conflict to seek help from peers and to handle this tough thing. As always, I've tried to include everything you need here to get you started. If you're interested in purchasing the materials ready made, you can find them on my TpT store all nicely organized for you. Always start with core! We want our peer mediators to be wonderful conflict resolution leaders but that will work best if all students have the skills. 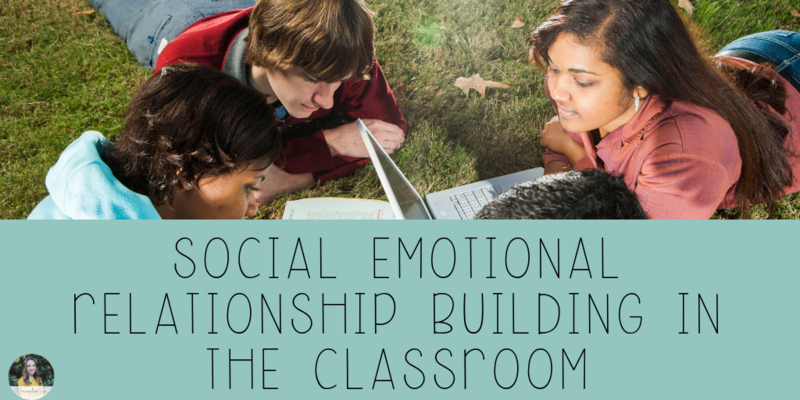 In this series, we'll teach 2 classroom lessons on handling emotions and resolving conflict. Domino Effect - show a cool video of dominos. Explain the concept of "domino effect" - it can seem inevitable, but remove one domino and the whole thing stops. This can happen with emotions too! Cause and Effect - we each have actions that are related to emotions. For example, you are angry, you might shout; you are sad, you might cry, you are annoyed, you might roll your eyes. Some actions are healthy and some are unhealthy. We might need to use strategies to stop the dominos when we have unhealthy actions related to behavior. Brainstorm Strategies - ask students to write strategies they use for managing emotions. Collect all post-its. 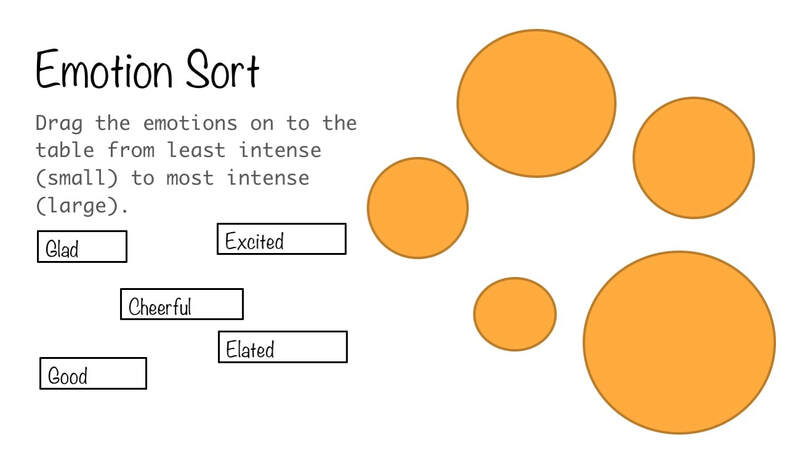 Place posters around the room with different emotions and redistribute (appropriate) post-its to groups of students. Ask them to connect strategies to the feelings that would be the best fit. For example, deep breaths for angry or talk it out for nervous. Role Play - if you have time, consider a role play to practice different strategies! In this lesson, I wanted to concentrate on the steps for problem solving that we will use for peer mediation. Intro: Describe conflict and understand that friends can have conflict and remain friends. Classmates can have conflict and still work together again. Walk through each step using an example conflict and practice, practice, practice! Let the fun begin! 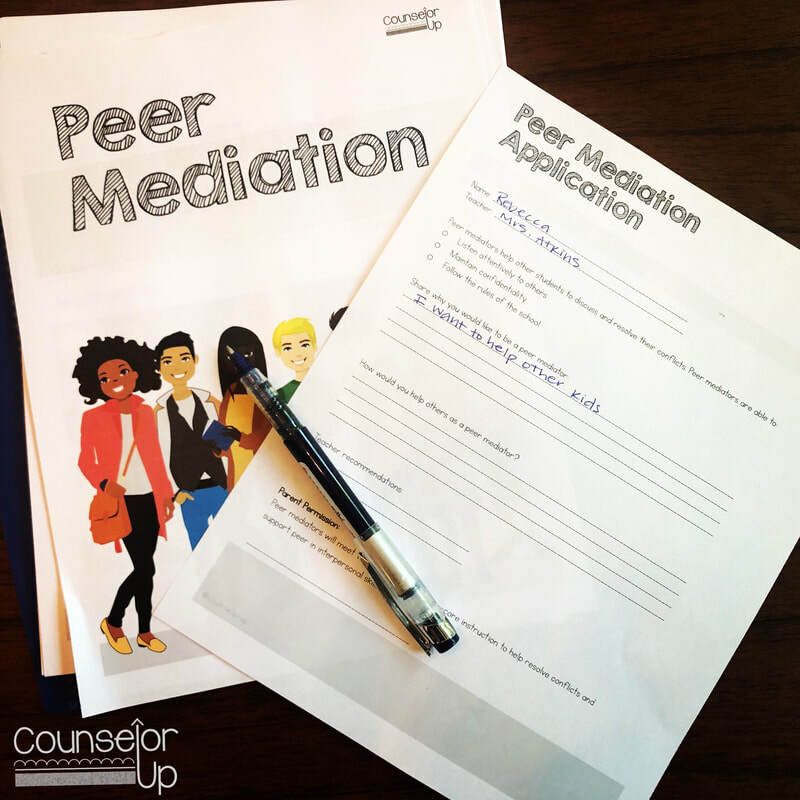 When peer mediators are selected, they participate in 3 small group lessons to practice their mediation skills and learn what it means to be a peer mediator. The entire peer mediation process will vary greatly from school to school based on logistics, so I've tried to include some ideas to help you think it through. What characteristics make a good mediator? Is condifentiality important for peer mediators? Why? As a culminating activity, we make posters advertising peer mediation to hang when we're ready to start accepting "clients." It was really helpful when you __________________. I was confused when __________________. An idea to make our session even better is ________________. In scenario 3, I tried to create a tough situation where the peer mediator may need to seek help from an adult. Some groups won't reach that conclusion but most of the time, at least one group will need help. This is a reason to celebrate! They will need help sometimes and that's OK.
How will students self-refer to peer mediation? Can staff members refer students to peer mediation? can administrators choose peer mediation as a result of a discipline referral if both students agree to it? When will peer mediation take place? 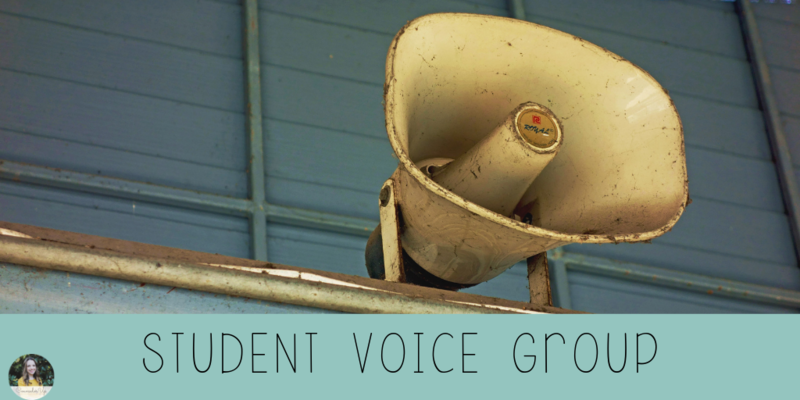 How will you document which students participate and the outcome of their participation? How long will each peer mediation last? What is the schedule for peer mediators? Will multiple sessions occur at once or will mediators rotate through one at a time? 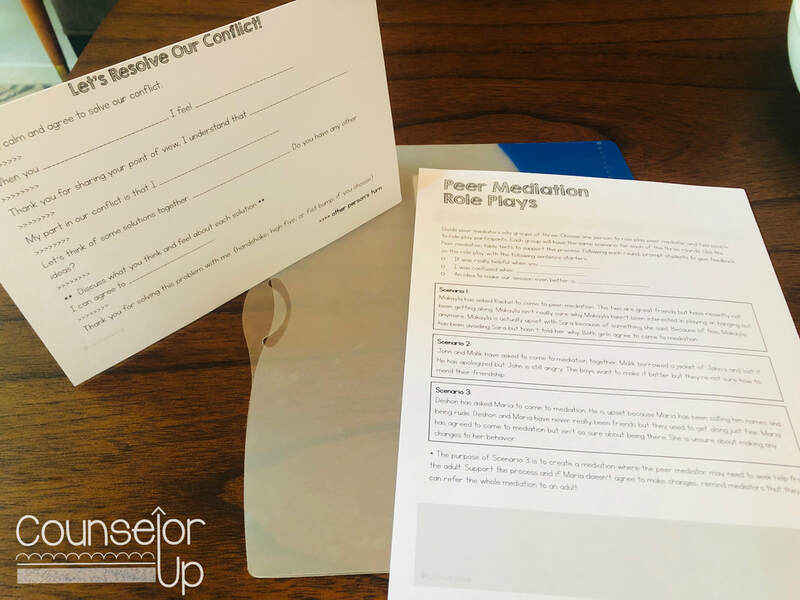 Do you plan to use conflict resolution notes (taken by mediators during the session), agreement cards (participants write their agreement as a reminder), post-resolution surveys? ​Finally, we spend some more time practicing with mediators thinking up their own scenarios. If you feel like your mediators aren't ready, add more practice sessions until they are! I think it's important to consider the goal of peer mediation when reflecting on its success. For a long time, I thought it was supposed to be a time saver for me - that students working with other students would help me to get more conflicts resolved with less time. Yeah, that is definitely not the case. Most of the time, it's the same amount of work but, this time, students are getting more out of it because the goal is really learning to resolve conflicts independently. It's actually not about me, go figure. Recently, I've been hearing a lot of push back on the idea of Positive Behavioral Intervention and Supports (PBIS) as a framework for tiered behavior support. I was kind of curious, because really, if you are implementing MTSS, you aren't far from being a "PBIS school." So I asked around. The biggest complaint? Reinforcers. Lots of people think PBIS and they think tickets/dollars/dojos with school stores and big huge individual reinforcement initiatives. Guess what? Nobody has time for that. I mean, I guess they do, but I was never up for it. At the schools where I've worked, we've implemented Class Compliments. 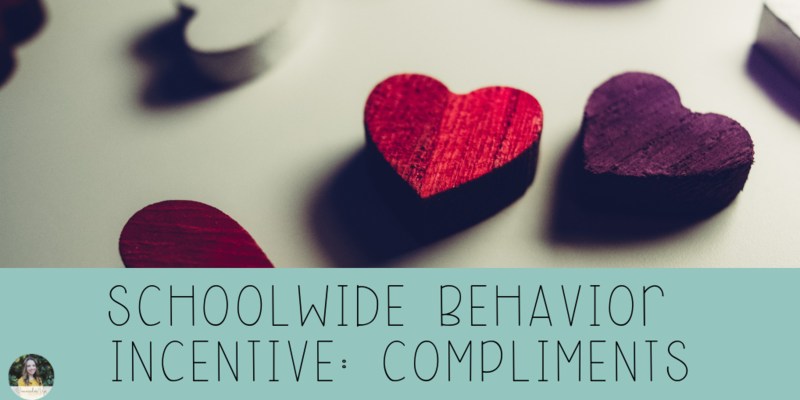 Just like it sounds, classes can earn compliments for any whole-class behavior that happens outside of their classroom: walking in the halls, time in specials, cafeteria, playground, etc. When the class earns 100 compliments, they earn a reward like pajama day, extra recess, or lunch outside. Easy peasy. To introduce, we had the counselors and administrators go to each room for a "kick off." We explained the system, gave each class a compliment card, and hyped up the rewards. The compliment cards changed through the years but always had 100 squares/stars/circles that could be colored in when the class returned to the classroom. Anytime the class was out and about, they could earn compliments. To help you out, I've included one at the bottom of this post (may not be visible on mobile). We also had to hype up the program with our staff. Compliments are only fun if you earn them! We had to get in the habit of saying "Mrs. Atkins, your class is walking so nicely down the hall." We wanted the compliments to be specific to the positive behavior. In specials, classes could earn up to 4 compliments each class. All of the specialists had different procedures for how this was handled. My favorite was to have a compliment for four specific behaviors and give the compliments specifically for those behaviors. For example, cooperating with your classmates. Over the years we got creative! We had a bulletin board that had a football field. For every 100 compliments, your team player would move to the next yard line. Classes that reached 1000 compliments would have their jersey retired. The jerseys were cut out of poster board, had the class' photo on it and all the students got to sign it. About 4-5 classes out of 41 had their jerseys retired each year so it was a big deal! I sure wish I had a picture of it for you, it was super fun. ​How do you support schoolwide behavior at your school? I'd love to hear some new ideas! Happy National School Counseling Week! I hope your school, family, and administration are showing you all the love and support you deserve. Here's what I've done in my schools and some funny memes to brighten your day. I'm celebrating by being sick - eh, you can't win 'em all. 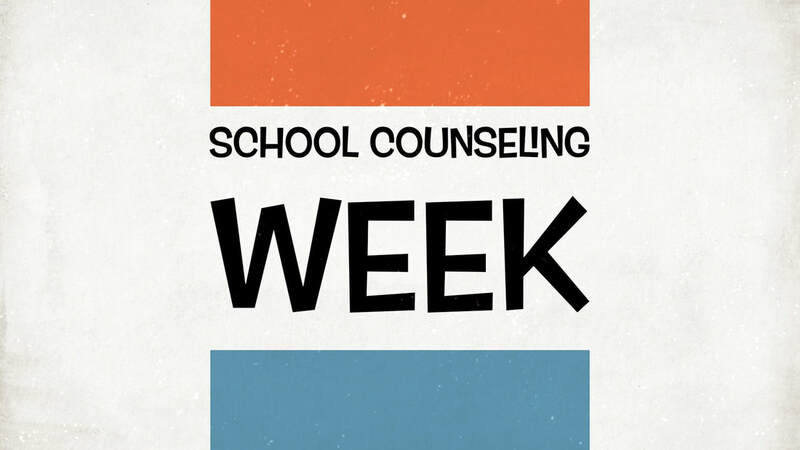 February 4-8 is National School Counseling Week! To celebrate the School Counseling Program at Apex Elementary, the role of school counselors and to just have some F-U-N, I hope you'll join our colleagues for School Counseling Week BINGO! Look for a hard copy bingo board in your box MONDAY. Bingo Boards are due to the counseling office this Friday 2/8! Winners announced next Monday 2/11 on the WAES News Show. Isn't that a great idea?! I'll post the BINGO board below (may not be visible on mobile) and make sure you follow her on twitter. What are you doing this National School Counseling Week? 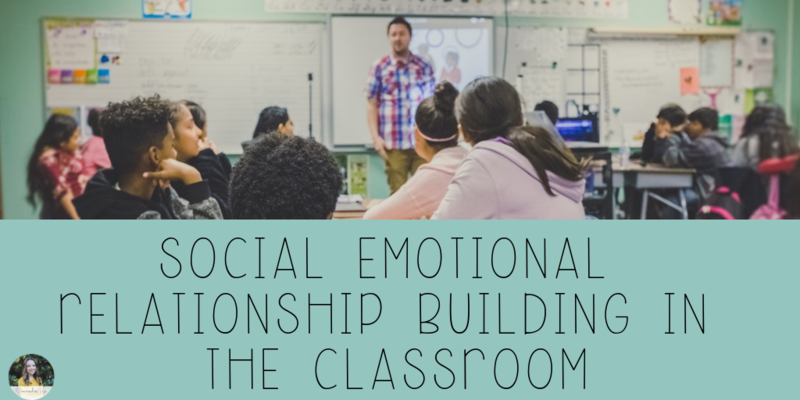 The more that students feel connected to each other and their teacher, the more likely they are to buy into classroom norms around how they treat each other. Introduce activities that are fun and engaging while increasing the connection between classmates. This could be during academic instruction but also might include some fun icebreaker activities. One of my favorites is to give students some paper and tape and ask them to build the highest tower possible. There are so many skills embedded in this activity! If relationship skills are low, consider mini-lessons on working together before you start. Continue offering the opportunity for fun, group, engagement to keep that feeling of connection going. In positive communities, citizens work together, contribute, and have a say in how things are run. Give students jobs that matter so that they know they are contributing, allow students leadership roles, and ask questions about their thoughts and opinions. Think about the best job you've ever had - I bet you felt you were contributing and you had some autonomy. You get more of what you focus on. Pay attention to the good things that your students are doing and comment on how that positivity affects the rest of the class. Students will notice that you are paying attention and (most) will recreate the positive behavior that merited your positive attention. Be specific and call out the positive consequences of their behavior. This also models positive behavior for students. Basically, stop trying to tell them to not say mean things and instead build up their capacity to see the good in each other and to feel like they are a part of the classroom! It's possible that students are in conflict because they lack the skills they need. If you (or the classroom teacher) are noticing a high number of the same types of incidents, create a plan to explicitly teach the skills they need. I call this "responsive core," core instruction given to all students because of an observation of a skill deficit. ​In one classroom I worked with, the students had lost their routines and procedures and it was causing a lot of chaos and disengagement for the class. In response, the teacher and I rearranged the furniture over the weekend and had a pretend "first day of school." The class spent the day learning about processes and procedures again. Amazingly, the loved it and thought it was so fun! In another class I worked with, the students lacked conflict resolution skills. I taught a conflict resolution lesson then created an agreement with the class to follow the conflict resolution steps. It really worked and the kids were able to *more* independently problem solve on their own. What are your go to tips for helping classrooms that have gotten off-track socially and emotionally? I want to expand my list!